Hazelburn is Springbank Distillery's unpeated and triple distilled single malt. It is a revival of sorts of the style of whisky once common in the Lowlands and Campbeltown regions. This incredible expression has been aged in both refill and first fill oloroso sherry casks. Just 12000 bottles have been released. Types of Barrel used for Aging Fresh and refill oloroso sherry casks. 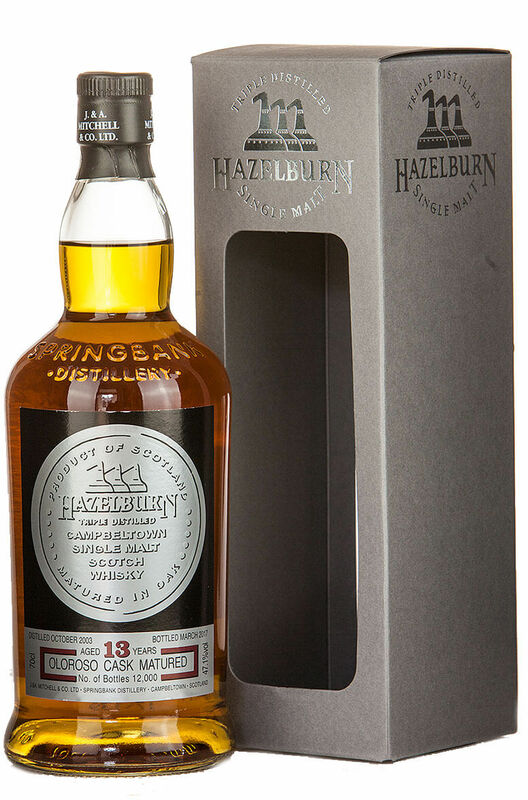 Hazelburn 12 year-old was released in 2009 and is an unpeated triple distilled release from Sprin..
A unique, triple distilled single malt that is now part of the core range of Springbank Distillery&#..